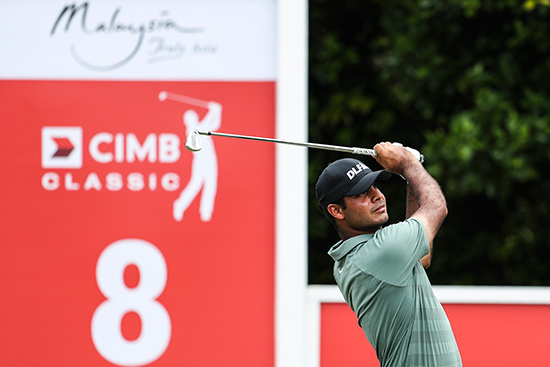 Kuala Lumpur, 11 October 2018: Shubhankar Sharma turned his fortunes around with a solid back-nine 31 as he returned with a five-under-par 67 to trail the first round leader Bronson Burgoon by four shots at the US$7 million CIMB Classic on Thursday. Sharma, the current Habitat for Humanity Standings leader, turned in 36 before shooting five birdies on his homeward nine to sit in tied 14th place in his first appearance at the event sanctioned by the Asian Tour and PGA TOUR at TPC Kuala Lumpur. 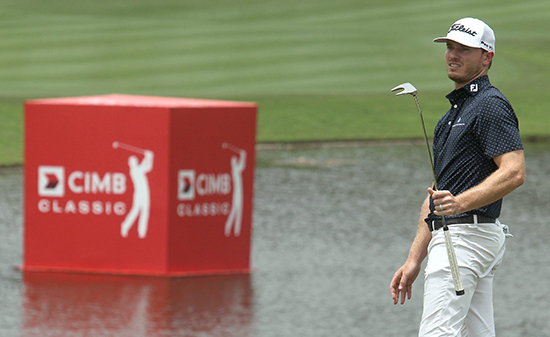 Burgoon, also making his debut at the CIMB Classic, registered a remarkable 63 to take a one-shot lead over Austin Cook while Chinese Taipei’s C.T. Pan, Scott Piercy and Billy Horschel, the 2014 FedEx Cup champion, were a further shot back in tied third place. World number four Justin Thomas, a two-time CIMB Classic champion, shot a 66 to tie in sixth place with eight other players including Nick Watney, who won the event in 2012, Major champion Louis Oosthuizen, Byeonghun An of Korea and Ryder Cup winner Paul Casey. The 22-year-old Sharma, a two-time Asian Tour winner, continued to impress in the country where he tasted success in February. He got off to a slow start but bounced back brilliantly with five birdies in the last nine holes. The round of the day belonged to Burgoon, who bogeyed the 13th hole before recovering with three straight birdies and holed-out for eagle from the greenside bunker on the 18th hole. He added five more birdies in his last nine holes to equal his career’s low round in relation to par. er Gaganjeet Bhullar of India and Kiradech Aphibarnrat of Thailand, the 2013 Asian Tour number one, shared 26th place after shooting matching 69s. 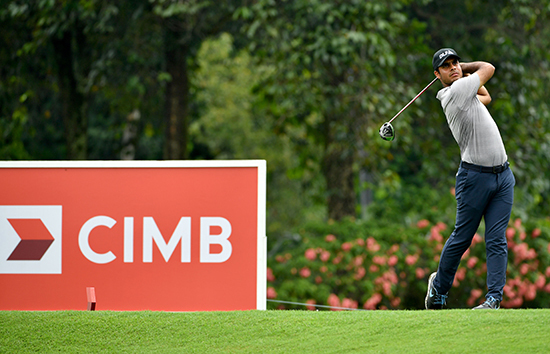 Kuala Lumpur, 12 October 2018: Shubhankar Sharma birdied his closing two holes for a sparkling eight-under-par 64 to trail the second round leaders Gary Woodland and Marc Leishman by one-shot at the CIMB Classic on Friday. The Indian star rediscovered his form in the country where he won eight months ago as he registered nine birdies against a single blemish to end the day on 13-under-par 131 at the US$7 million event sanctioned by the Asian Tour and PGA TOUR. Sharma will enter the weekend rounds hot on the heels of Woodland, who equalled the course record of 61 today, and tie with Leishman, whose 62 placed him atop the leaderboard at the TPC Kuala Lumpur. Ryder Cup winner Paul Casey of England kept up his title charge after shooting a 65 to share third with Sharma while world number four Justin Thomas slipped to a share of 15th place following a 69. Starting from the 10th, the 22-year-old Sharma turned in 33 before showcasing his impeccable form highlighted by a 30-foot birdie putt on the eighth hole. He rifled his nine-iron approach shot to two-feet on the last for an easy tap-in birdie to charge in contention. 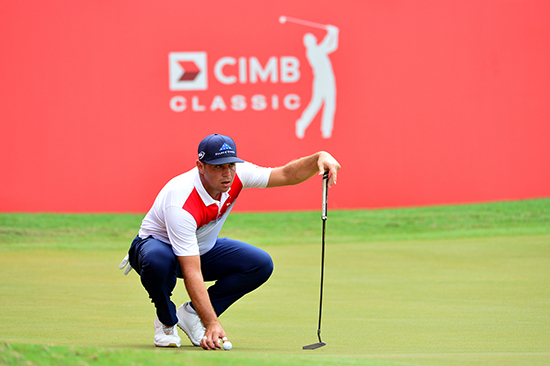 Woodland will be hoping to be third time lucky after finishing second twice at the CIMB Classic in 2013 and 2014. The three-time PGA TOUR winner marked his card with 11 birdies to tie for the course record set by Thomas in 2015. Leishman, who has also won three times on the PGA TOUR, was also bogey-free in a round of 10 birdies. His highlight of the day came when he holed four straight birdies from the second hole. 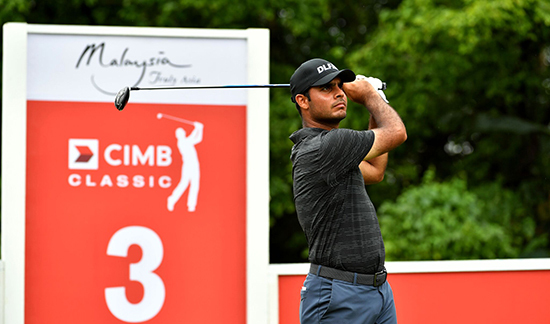 Kuala Lumpur, 13 October 2018: Shubhankar Sharma of India produced a gutsy six-under-par 66 to share the third round lead on Saturday, and put himself in prime position to become the first Asian to win the US$7 million CIMB Classic. The 22-year-old produced some solid golf as he shared top spot with two-time CIMB Classic runner-up Gary Woodland, who missed his eagle on the last for a 67, and Australia’s Marc Leishman (67) on 19-under-par 197s. Major champion and 2012 Malaysian Open winner Louis Oosthuizen registered a sparkling 65 to lie two shots back with round one leader Bronson Burgoon, who shot a 67 at the TPC Kuala Lumpur. Sharma, the current Asian Tour number one, was fast off the blocks when he birdied holes two, three, five and seven before trading three birdies and one bogey on his homeward nine. The Indian will enter the final 18 holes with high confidence in the country where he won his second Asian Tour title in February. This will be the second time in 2018 Sharma is in contention for a PGA TOUR title. He led by two shots heading into the final round of the WGC- Mexico Champion before settling for tied ninth. 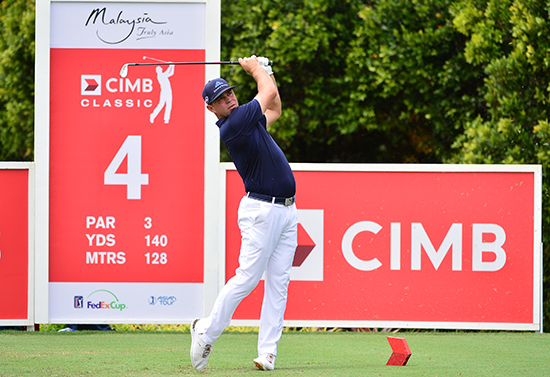 Woodland, a three-time PGA TOUR winner, is determined to shed his bridesmaid tag at the CIMB Classic after trading six birdies and one bogey. He finished second in the 2013 and 2014 tournaments. Leishman opened with a birdie, birdie, eagle before adding three more birdies in his first 10 holes. He slipped back when he bogeyed holes 11 and 13 to enter the final round tied at the top of the leaderboard. 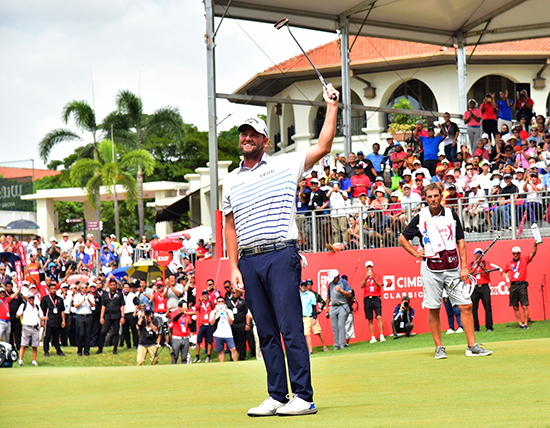 Kuala Lumpur, 14 October 2018: Marc Leishman secured a stunning victory at the CIMB Classic to become the first Australian and non-American to win the US$7 million tournament on Sunday. The 34-year-old Leishman posted a final round seven-under-par 65 to claim his fourth PGA TOUR title and broke the stranglehold of the Americans, who have triumphed in the last eight editions. With a winning total of 26-under-par 262, the Australian dominated the event with a five-shot victory over Argentina’s Emiliano Grillo (66), Chesson Hadley (66) and first round leader Bronson Burgoon (68). His winning score also equaled the low four-day total set by Justin Thomas in 2015. Leishman was hot at the get-go, making four straight birdies on the second hole before adding further birdies on holes nine and 10. He dropped a shot on 13 but his lead was never threatened as he marked his card with further birdies on 16 and 18. 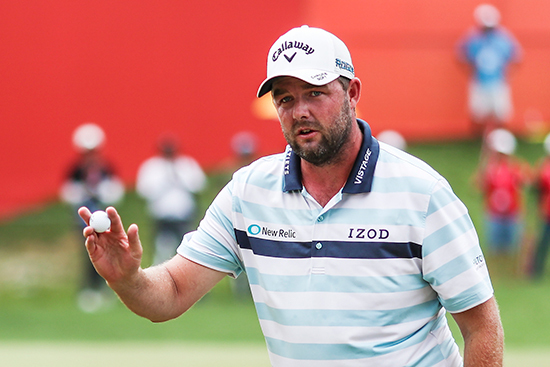 With the victory, Leishman earned a cool prize purse of US$1.26 million. Thomas, searching for a third CIMB Classic victory, made a final day charge with a 64 but had to settle for a share of fifth place with Major winner Louis Oosthuizen, Ancer Abraham, Charles Howell III and Gary Woodland. 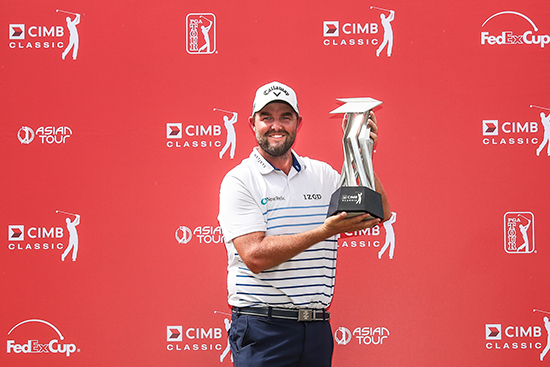 •	Leishman is the first Australian and non-American to win the CIMB Classic in nine editions. 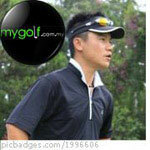 •	He betters his fifth place finish at the CIMB Classic last year. He wins the event in his seventh appearance in the tournament. •	He was consistent the entire week, dropping only four bogeys while shooting 28 birdies and one eagle. •	He totaled 25 putts today, his second lowest of the week. He needed only 24 putts in the second round. He only made one three-putt the entire week. 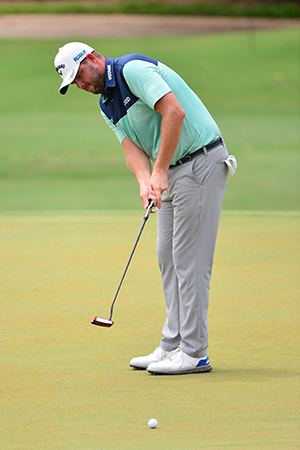 •	This is Leishman’s fourth PGA Tour title since winning the 2012 Travelers Championship, 2017 Arnold Palmer Invitational and BMW Championship. •	His 26-under-par 262 is the second lowest 72-hole total of his career. His lowest total 261 came in his victory at the 2017 BMW Championship. •	He also receives invitations to the 2019 Sentry Tournament of Champions, a winners-only event in January, along with two major championships (Masters Tournament and PGA Championship) and THE PLAYERS Championship. •	Sharma shot his highest score of the week with a final round 72. •	He shot two bogeys and one birdie in six holes before holing four straight birdies from the seventh hole. His momentum stopped when he hit his tee shot into the water on the par-three 11th hole which resulted in a bogey. •	He extends his lead on the Asian Tour’s Habitat for Humanity Standings. He currently has a lead of US$134,094 over Korea’s Sanghyun Park.